A close view of the cute little fellas. Can you believe how adorable they are? A wider shot. 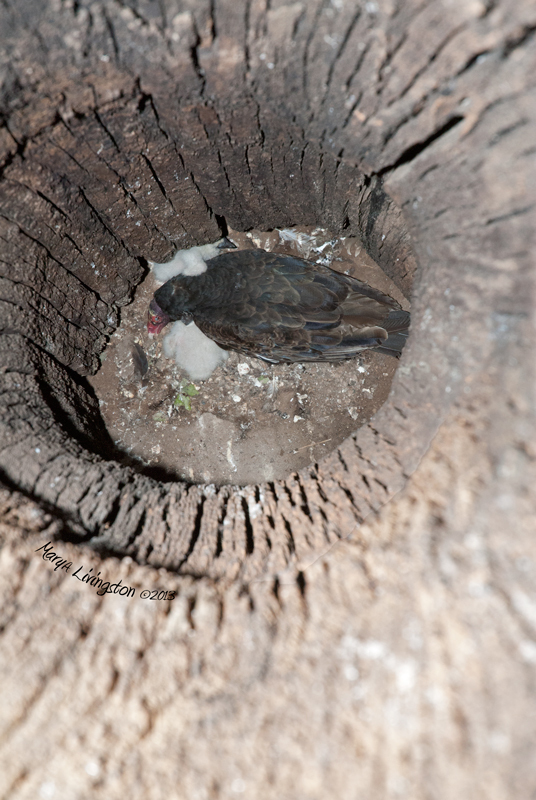 These babies will not be able to leave the nest until they can climb the 14 feet to the entrance of the hollow cavity. 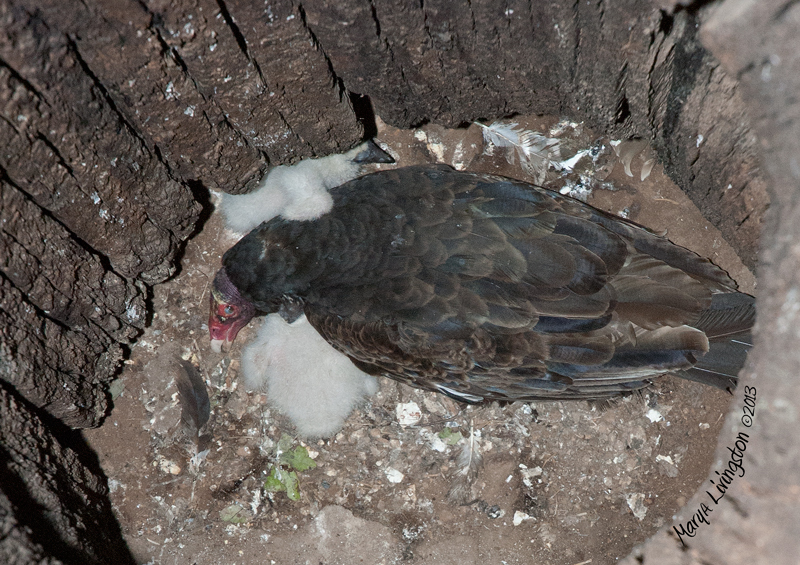 This entry was posted in My Backyard, Nature, Photography, Turkey Vultures and tagged MaryA Livingston, turkey vulture, turkey vulture chicks, turkey vulture nest, vulture, wildlife by MaryALivingston. Bookmark the permalink. I’ll bet you were sure excited to see those babies!! I’m pretty excited myself! Amazing how those big spooky birds have little ghost babies! lol…Rhythm, you crack me up! I am really looking forward to when the young’ns climb up and out for us to see on the video camera. Might set up a live stream while they get ready to fly. That would be fun to watch.. kinda like watching puppies climbing out of their whelping box for the first and last time! These guys will start out in the next couple of weeks. By mid month I think. I shot a great video of them yesterday.